Have you hit a ‘brick wall’? – Helping Traders to succeed! Have you hit a ‘brick wall’? 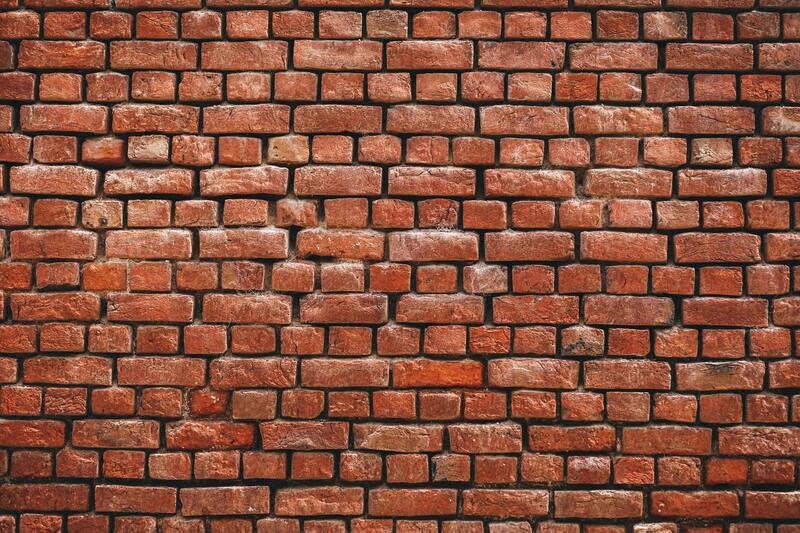 I’ve spoken to many people over the years about trading, and one topic that crops up every now and then is when traders feel like they keep head butting a brick wall that is standing in their way. They cannot seem to break through this obstacle, and of course this inevitably leads to frustration and overtrading, thus taking trades against their processes and rules. So how are you able to push yourself to move on and hit the next level in your trading? Well, if you find yourself in this situation, the very first thing you need to do is…. breathe! Usually, when traders are approaching a significant level in terms of equity growth and/or profitability, subconsciously they tend to switch their focus away from the process. They no longer focus on executing their strategy in a consistent manner, and their focus shifts, perhaps even unconsciously towards trading their P&L. Thus the trader will find they are hesitating much more than normal in executing trades, or are more prone to falling back into bad habits that they seemed to have overcome, such as snatching profits early, or even committing the cardinal sin of trading, which is moving their stops. So how can you move past this obstacle and move on to reach the next level? The first step required of a trader is to firstly understand the fear that is driving your behaviour. Fear has been greatly helpful to the human race for their survival. Ten thousand years ago, if a Sabre-Toothed Tiger came along to say hello, the vast majority of humans I am sure would have felt a strong feeling of fear, which would have initiated a response in that particular human, guiding him or her to take evasive action. In this modern era, it’s unlikely you will be put in harm’s way through such an event. There are not many genuine ‘life threatening’ situations we would find ourselves in (at least that are not of our own doing) like we would in more primitive times. What there is an abundance of in our lifetimes now however is uncertainty. This is extremely apparent in certain professions, such as Trading, but even for life in general, through under-performing economies and threats of recession, perhaps even climate change leading to droughts, floods, wildfires, and food shortages. Wars and our security in the current climate, and even perhaps a certain president’s twitter account can create major uncertainty… and the list goes on. Now interestingly, it can be found that our brains, amazing as they are, can struggle to tell the difference between when we experience genuine fear, or rather when we experience significant uncertainty. Trading is by nature full of uncertainty. It is impossible for anyone to know with certainty whether their next trade will be a winner or a loser. Thus, when faced with uncertainty, the brain locks in to the same thought processes and behavioural mechanisms as it would in a state of fear. As such, there is only one likely outcome in this scenario, and that is that your trading will take a hit. So how can we overcome this problem? Well, like I said at the start, just breathe! The reason why I say breathing is quite simple. When you control your breathing, you are in control of your physiology. When you are in control of you physiology, you can direct your thoughts feelings and emotions towards the more positive side of the spectrum. How can one do this, and how does it work? Well, simply put your breathing controls your heart rate, your stress levels and anxiety. Thus if breathing controls your heart rate, it also controls the amount of oxygen flowing through your body, and most vitally, to your brain. When you are in a mode of fear, your breathing becomes quicker and shallower, your heart rate rockets and you are basically in the mode of fight v flight (e.g. the Sabre-Toothed Tiger scenario given above). When you are in this fight v flight mode, it is very difficult to think calmly and logically – your brain is basically pre-tuned to take quick actions instinctively in an effort to protect you (from a trading context think of things like revenge trading or moving stop losses in the hope that you will make a loss back quickly, or perhaps the market will rebound and not hit your stop loss after you move it, thus protecting you from taking a loss). When attacked by a tiger, it can be great – when you are trading however, this can be deadly. If you consciously make an effort to control your breathing, you can begin to slow your heart rate down, increase the flow of oxygen and essentially just calm yourself down, putting yourself in a much more favourable state to make prudent trading decisions. As I’ve said on numerous occasions in my articles, one activity that I think is vital to successful trading is the practice of meditation – please see my previous articles on why I believe it is so crucial. It is important to note that I don’t say to practice meditation so that you can try and clear your mind and push negative thoughts and feelings (e.g. fear) aside – this is a big misconception around meditation that can actually be harmful. It is crucially important to acknowledge what you are feeling. The key that meditation will help you with, is after you have acknowledged your thoughts, you can simply let them go rather than reacting to them. So how can you do this in practice? Firstly, if you have never meditated before, do not try to do 30 minutes on day one. Start off with 5 minutes in the morning, and 5 minutes in the evening. Sit in a quiet place where you will not be disturbed, close your eyes and breathe fully in through your nose, and breathe out through your mouth – big, deep, slow breaths of air. When you are breathing, turn your focus on to the sensation of the air as it passes through your body. Where do you feel it the most? Do you feel it in your nose? Your throat? Or perhaps even in your stomach? Keep your attention and focus here. Inevitably, at some stage, thoughts will appear in your head. Perhaps it will be about trading; perhaps it will be about something else. To be honest it doesn’t really matter. The key thing to do here is to simply acknowledge what you are thinking and/or feeling. Do not push the thoughts away. Simply observe and acknowledge the thought you are having, and just let it float away. Do not force it, and most importantly do not pass judgement on what you are thinking. Be calm, kind and compassionate. Just simply acknowledge, and let it go. After the thought has dissipated, simply switch your attention back to the sensation of the air as you breathe. And that is it. It is as simple as that. The purpose of this exercise is to show yourself that you do have the ability to have thoughts, acknowledge those thoughts and crucially let go of those thoughts without having to act on them. You may not see any impact on your trading, or even your life in general, in the short term, however if you practice this regularly over time, then I can assure you that you see significant changes in your temperament, and how you react to thoughts that arise after certain events transpire. You will be more focused and in a more optimal state of mind to trade, enabling you to follow your process more effectively and efficiently. Remember, even if you feel like you have hit a wall in your trading progress in the short term, as long as you keep following your process and executing your edge, it is only a matter of time before you smash through that wall. All you need to do is simply ensure you give yourself the greatest chance to do so in the shortest amount of time, by following the ideas outlined in this article.